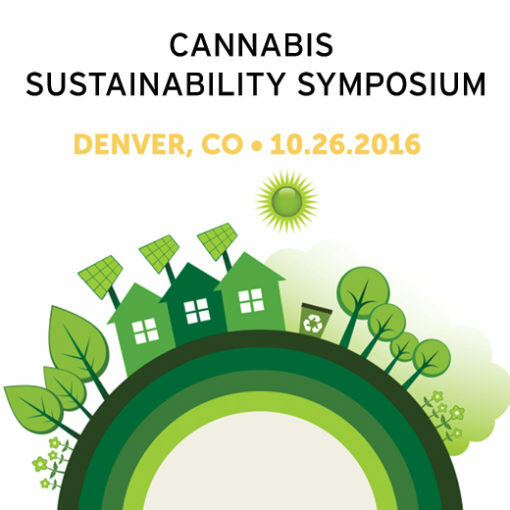 DENVER – The Organic Cannabis Association (OCA) will host the first-ever Cannabis Sustainability Symposium on October 26, 2016 at the Colorado Convention Center. This full-day event will educate attendees on the latest tools, techniques and technologies for efficient and safe cannabis production. The Symposium is being planned with in-kind support from Denver Environmental Health and the Cannabis Sustainability Work Group. Speakers include lighting and HVAC professionals, sustainability experts from New Belgium Brewery, Denver Water, Alpine Waste and more. The Symposium will be keynoted by leading alternative farmer and inspirational speaker Joel Salatin. The agenda includes sessions on energy, design, water, waste, integrated pest management and community engagement. Attendees will have the opportunity to interact with and ask questions of expert panelists from around the country. “It is exciting so many businesses have come together to support sustainability in cannabis – this could not have been done without our sponsors” said John Paul Maxfield, CEO of Waste Farmers and Founder and board chair of the OCA. Speakers and the Symposium itself have been made possible by the generous support of sustaining sponsor Denver Relief Consulting, and numerous other sponsors including Good Chemistry, Batch: 64, MarijuanaBilt, MES, IngersollRand, Organa Labs, urban-gro, and MaxLite. Tickets can be purchased at www.cannabissustainability.org.